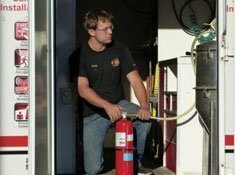 The K-GUARD extinguisher is an attractive, easy to use and maintain, stainless steel extinguisher. 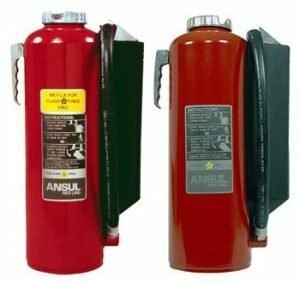 The ANSULEX® Low pH fire extinguishing agent used in the extinguisher is a specially-formulated aqueous solution. It has been developed to provide rapid flame extinguishment and securement of hot fuels such as cooking shortenings. 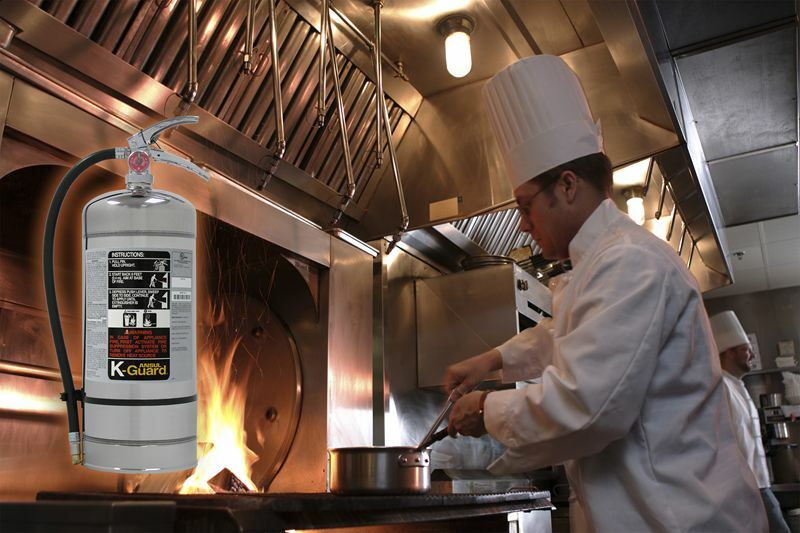 The K-GUARD® liquid agent fire extinguisher is specifically designed for use on fires that involve combustible cooking vegetable or animal fats in commercial cooking equipment. Typical appliances include; fryers; griddles, range tops; upright, natural charcoal, or chain-type broilers; electric, lava rock, mesquite or gas radiant char-broilers and woks. Newer, more efficient cooking appliances, plus the use of non-saturated cooking oils, require a fire extinguishing agent which will not only smother a fire but provide a cooling effect. 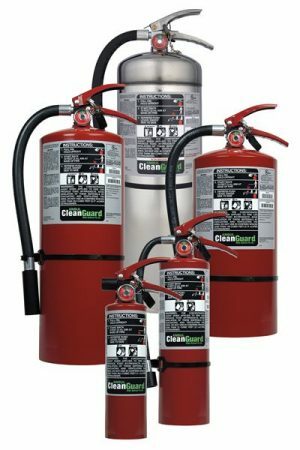 The extinguisher is ideally suitable for use in restaurants, hospitals, nursing homes, hotels, schools, airports, and other similar facilities. 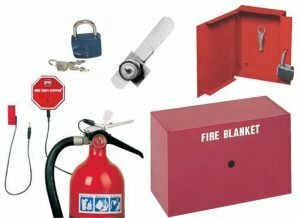 It is used as a backup to an automatic fire suppression system. 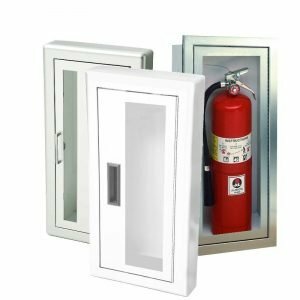 The energy source to the cooking equipment shall be shut off by the automatic fire suppression system in order to attain complete extinguishment and permit the cooking media to cool below its auto-ignition temperature. Meets new Class K (Combustible Cooking Media) fire requirements of NFPA 10.